greater Auckland area, from the Bombay Hills to Waipu. We represent highly reputable and respected suppliers that manufacture a range of wastewater treatment systems that are recognised as market leaders in their field. The benefit of being independent from the manufacturers is that our approach will always be solution instead of product driven, and our recommendations will be well considered, appropriate and cost effective. Terraforce conducts an on-site visit with each client before carrying out the wastewater design and presenting a quotation. This step in the process is important in not only assessing the terrain and appropriate installation area for the tank and wastewater disposal field, but also in gaining an understanding of each client's individual needs. Our range of wastewater systems from highly reputable manufacturers give you the benefit of a tailor made, turnkey solution that will be both well considered and cost effective. Terraforce specialises in the design and installation of wastewater systems for the New Zealand market. We are able to provide a comprehensive system design for new or existing homes or install a retro-fit system where only modifications are required rather than a complete rebuild. Having the option of several alternative wastewater systems, means that rather than being limited by challenges such as terrain and accessibility, we are able to tailor a solution for each site. Council approval is mandatory for all wastewater systems to ensure that your new system complies with regulations that ensure minimum environmental impact. 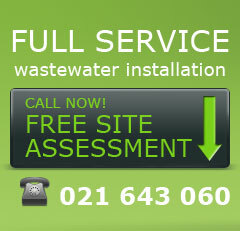 Terraforce can manage and provide all wastewater documentation required for submission to your local council. Terraforce will move on site for the installation of the wastewater system on a date identified with the client. Installation by our team, from site preparation to completion should take no more than two days. Excavation work required for the tank installation is done with minimal impact on the surrounding areas; and all soil is evenly distributed on site thereafter. Excess soil from the excavation can be removed upon request. 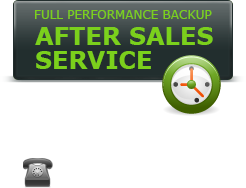 Each wastewater system designed and installed by Terraforce includes full performance back-up through an after sales service company. A service agreement is provided with each system installed covering maintenance checks as required. It is a council requirement that all wastewater treatment systems have a maintenance agreement in place.